Openworked bead cap with hearts for jewelry. 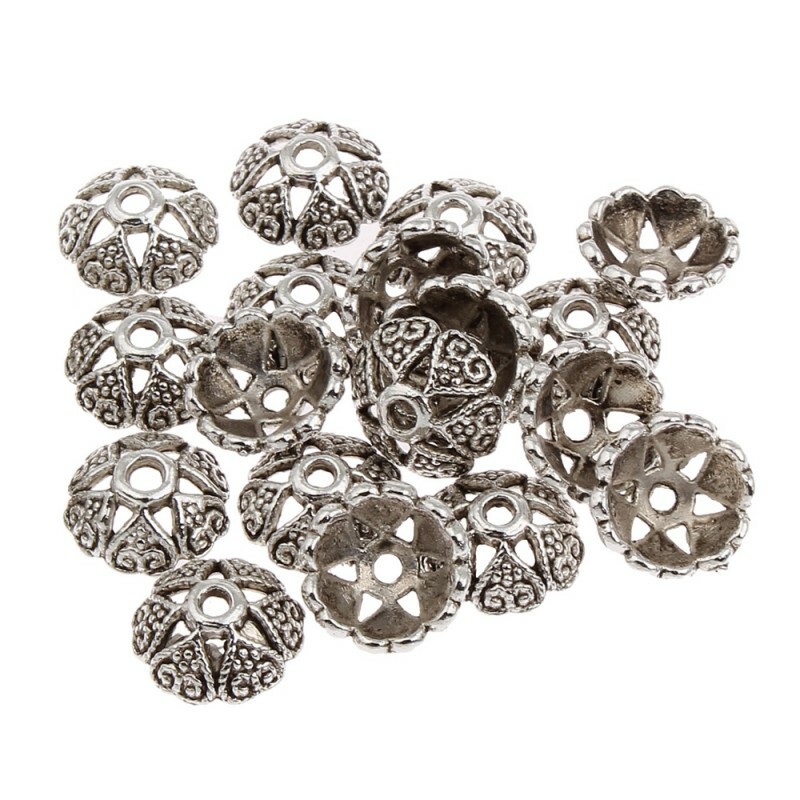 Beautiful openworked bead cap, decorated with hearts, ideal for mounting jewelry. 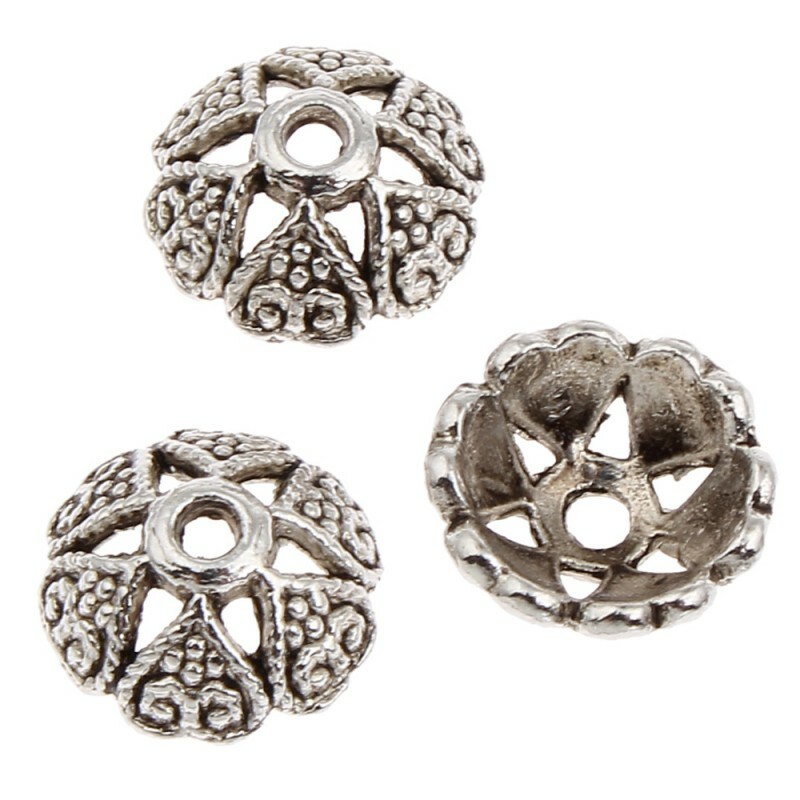 It measures 8 x 8 x 3 mm, with a hole of 1 mm diameter and it is made of a zinc alloy in antique silver color. Each 20 grams bag contains approximately 75 pieces.